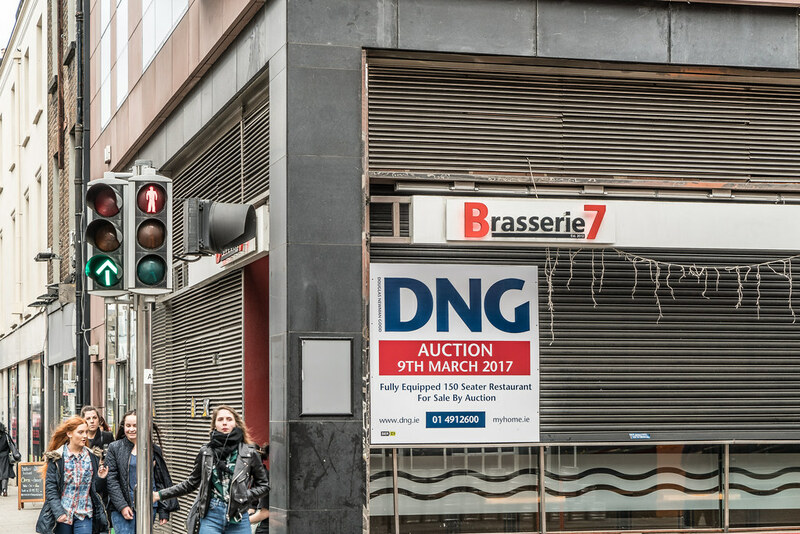 The good news may be that it would appear that it is being sold as a restaurant complete with equipment. 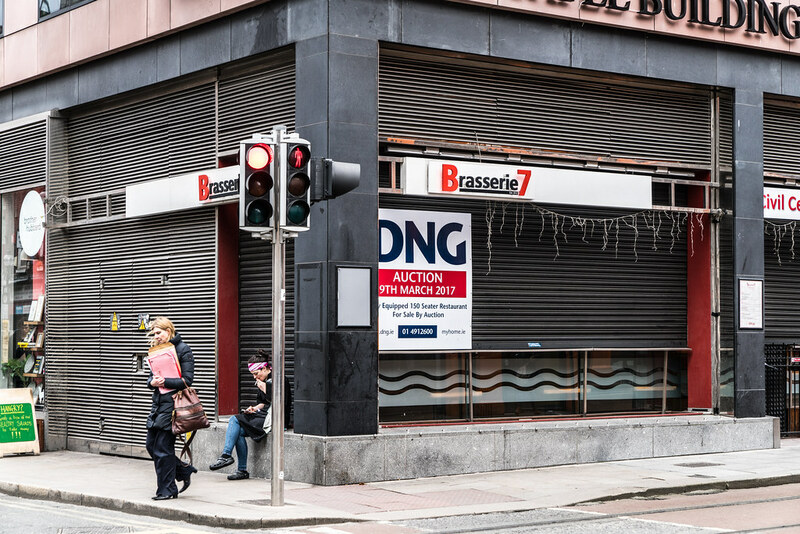 This location was originally launched as a 250 seater restaurant and then it was relaunched under different management as a 220 seater restaurant but the auction sign indicates that it was a 150 seater restaurant. I would be inclined to believe the auction sign but as the tables were too small and the seating was uncomfortable [to the degree that it was unacceptable] it is possible that they had seating for 250 back in 2008. 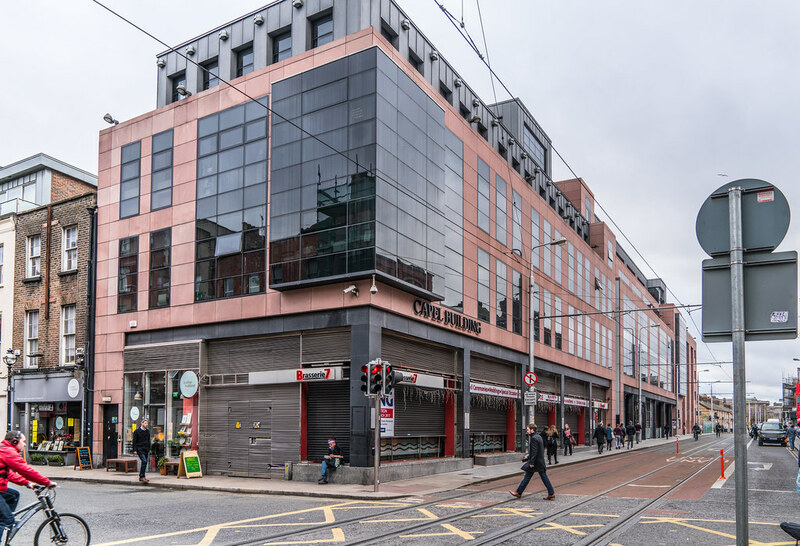 Twenty Two years ago I purchased an apartment in Bolton Street. I moved in on a Saturday. The next day was a Sunday and as I had not purchased any food I decided to find a restaurant and that is when I got a big surprise. Other than McDonalds or Burger King I could not find a restaurant that was open so i decided to return home. 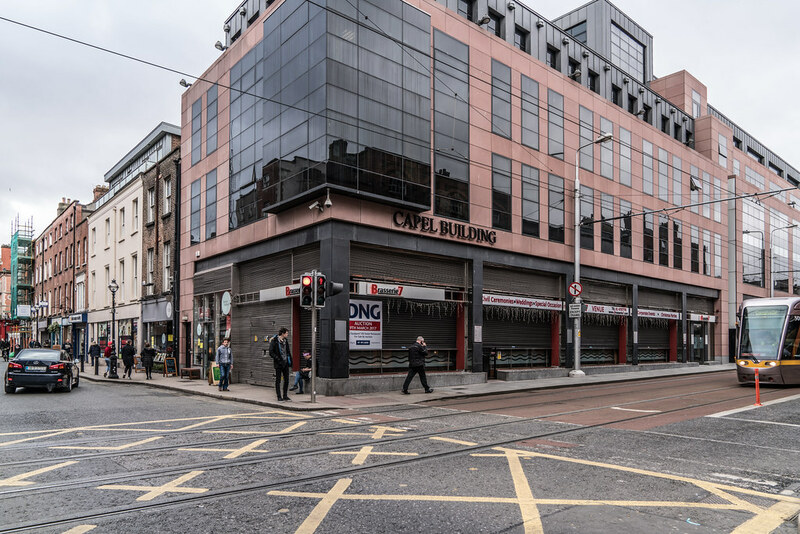 As I was walking along Capel Street I was stopped by an Italian who was trying to find somewhere to eat. We decided to combine resources and eventually we found Tante Zoe’s in Temple Bar. We decided to meet on Sundays on a regular basis and we met [others were added until there were about six people] up almost every Sunday for Brunch at Zoe’s for at least eight year … it came to an end when the restaurant ceased trading. Now in 2017 on any Given Sunday there are at least thirty good options within minutes walking distance from my apartment and there are new restaurants opening almost every week. 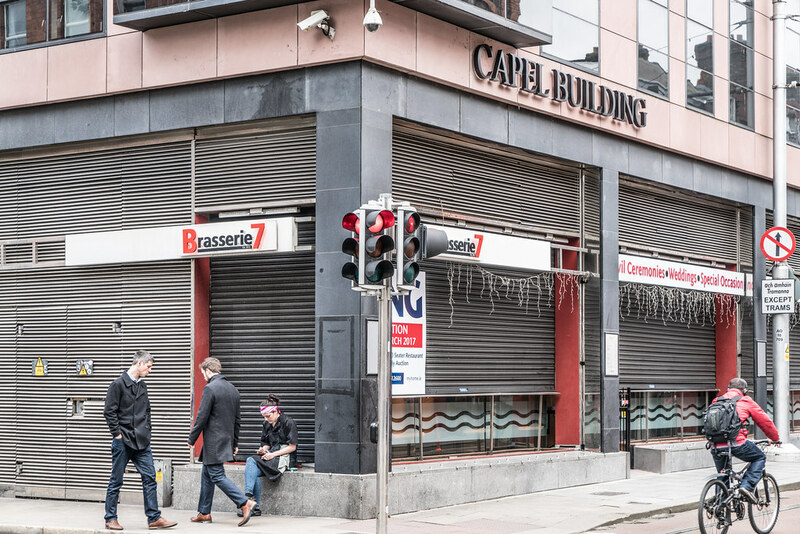 Until today I had not noticed the Brassier 7 restaurant had ceased trading but I was not surprised because I have always believed that location was not capable of supporting a 250 seater restaurant that was not within the price range of people living, working or studying in the area. Also, for various reasons. there was no way that it could attract people from elsewhere in the city. 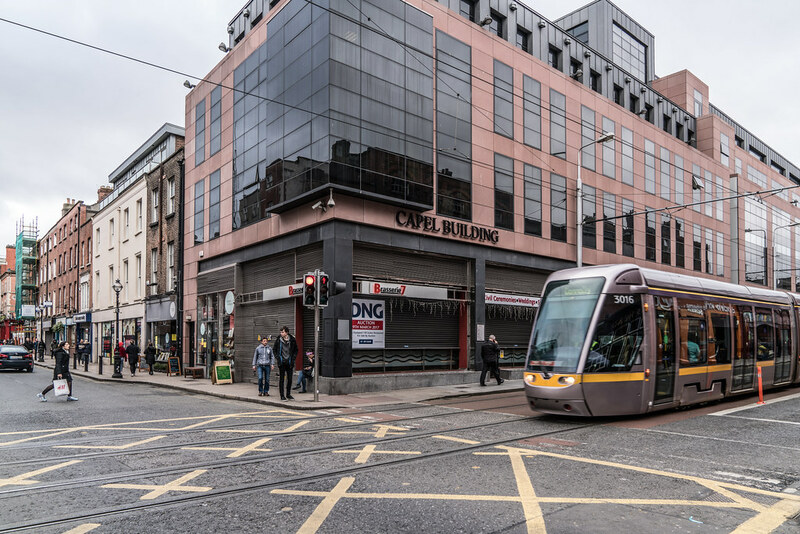 I cannot remember exactly when but a number of years ago the celebrity chef Gary Rhodes opened his restaurant, Rhodes D7, on Capel Street in Dublin. I could not believe his choice of location and I often wondered if he had in fact every visited the restaurant or the location. I must admit that I have never understand the concept of paying extra to eat at a restaurant featuring the name of a famous chef that never cooks the food. When it was first established my mother indicated that she would like to try it but when I phoned I was informed that it was booked out for at least four weeks. However, every time I passed by it was at best about 25% occupied. I tried a few more times but still there was a three to four week waiting list and and at one stage it was as high as six weeks despite the fact the place was less full every time I walked by. My mother never got to have a meal there. Sometimes they would open on bank holidays and sometimes, at random, they were closed on Bank Holidays and Sundays [that is usually a bad sign]. One bank holiday I was passing by and as they were open I dropped in and got a table no problem and the food was good but expensive compared to other options nearby. I think that it was Christmas 2008 and I had been invited to visit my brother for Christmas. On the 23rd. I visited the restaurant late in the evening and as I was the last customer to leave I got to have a chat with the head waiter who mentioned that he was going back to Poland the next morning for a two week holiday as the restaurant would be closed for two weeks. I asked him why would a restaurant close for two weeks at the busiest time of the year but he did not appear to think that it was odd but I certainly did. The next day my trip to my brother’s house had to be cancelled because all the family were ill so I was stuck in Dublin for Christmas. On the 24th. I walked by the restaurant and it had a sign in the window indicating the the restaurant was closed for renovation until 17th. March [St. Patrick’s Day] and for many reasons that was an obvious lie. The restaurant remained empty for a long time. 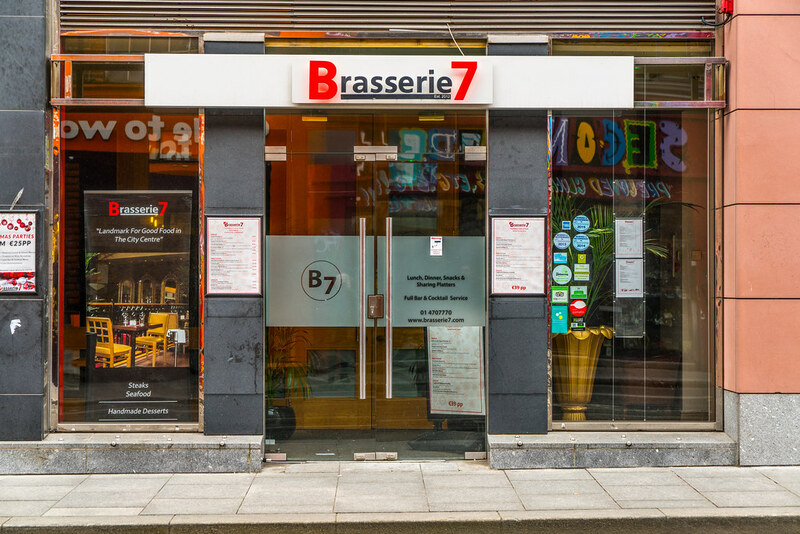 Ta Brasserie 7 Limited was set up on Tuesday the 17th of April 2012. 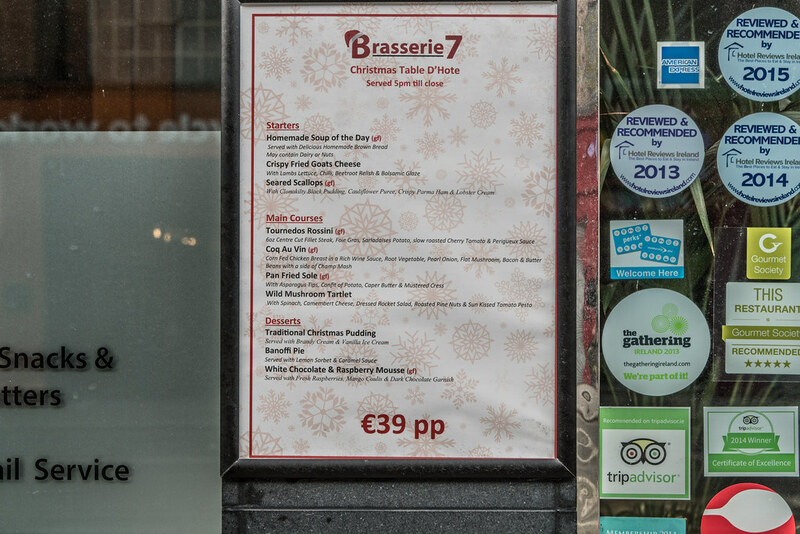 When it did reopen as Brasserie 7 I was the first customer and I got a excellent meal free of charge. Here is what I said back then “Saturday 8th. December 2012: [Update: I visited this restaurant today and I was their first customer. 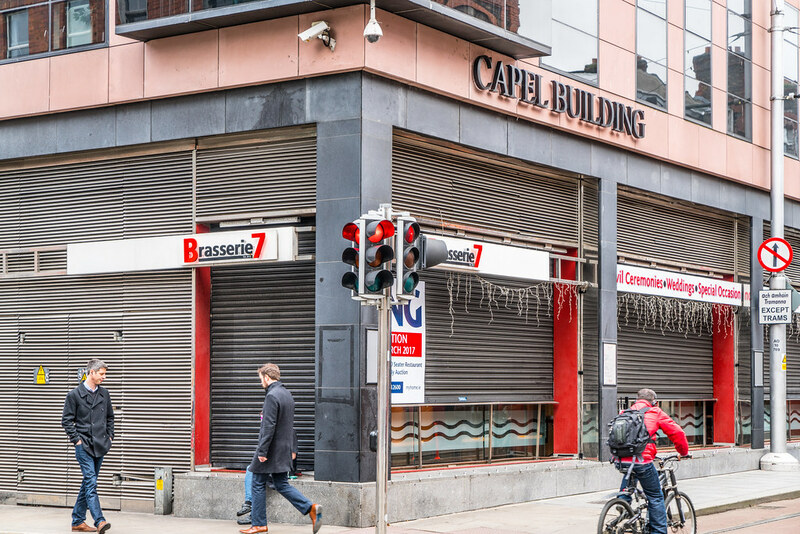 They have no connection with the previous operation which ceased trading at the end of 2008. The food was excellent as was the service]”. I only visited twice during the following years because I considered it to be too expensive for what was on offer. It is possible that the prices dropped but I had lost interest.